Just under 2 years ago, Shannon held a small gathering to gauge the community’s interest in building affordable art studios in the Heights area. The idea took on some steam and we ran with it. All the research, and all the hard work has led us to this point. We’re THRILLED to announce that we are now accepting rental applications for our ARTFUL studios located in the Coventry School Building! 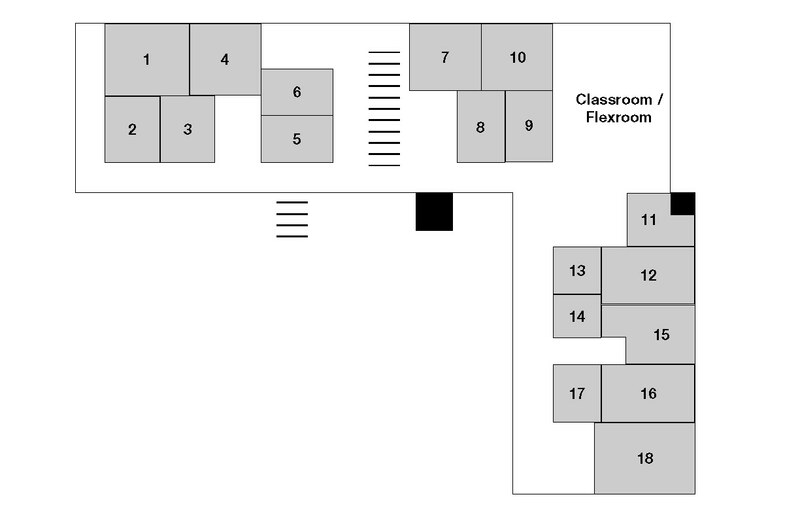 We have 18 studios ranging in size from apx. 90 sf, on up to apx. 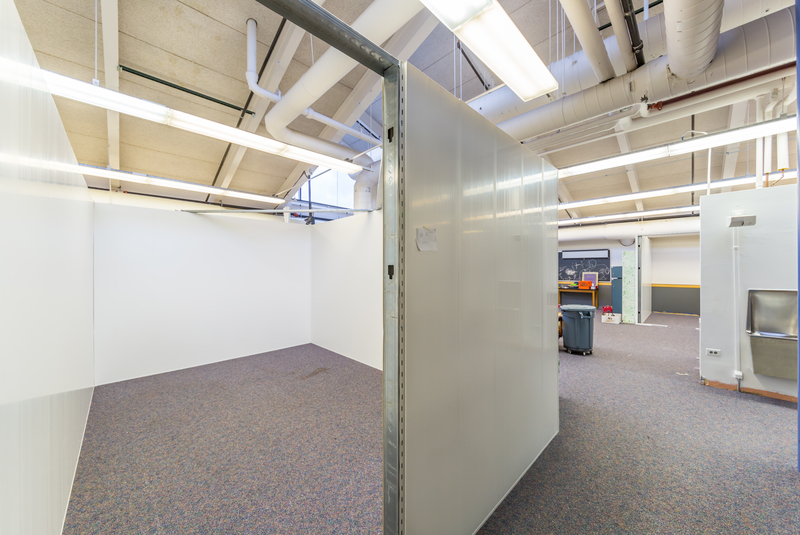 260 sf, as well as a flex room to be used for classes, lectures, shows and special events. One of our larger studios has been set aside as a shared space, at a discounted rate, for those who are current college students, or recent graduates. We are offering the remainder of the studios at a discounted rate for our initial artists. We encourage you to download the Rental Application Packet and read it thoroughly. Details regarding the application process, costs, etc., are discussed in this packet. Further questions can be sent to application@artfulcleveland.org. In celebration of being at the point where we are able to start renting to local artists, we will be holding a Grand Opening Celebration on March 11. We will be releasing further details regarding this celebration in the next few days. And we must take a quick moment to thank all of our generous donors. Their kindness has allowed us to move as quickly as possible to bring these studios to fruition. We are so grateful for their help! Thank you. If you would like to make a donation today, please visit our Donation Page. Good luck to all and thank you for your interest! We have SO much to cover… fundraising off to strong start, all sorts of events, tours/open houses, and more! So please read on. Having officially launched our fundraising efforts just a couple weeks ago, we are already over half way to our first goal of $25,000! When we reach our first $25,000, we will receive a matching grant of another $25,000 bringing us to a total of $50,000. Reaching this goal will allow us to begin the building phase and our studios will begin to take shape. From there. we have set a goal of an additional $25,000 so that we can complete the building of all our studios, begin on our public art sculpture, and begin programming for our artists and community members. Every donation, large and small, will help us reach these goals and make our community even more ARTFUL! And to those who have donated thus far, we thank you from the bottom of our hearts. ARTFUL will be participating in, and hosting several events the next several weeks. These are great opportunities for you to participate in some hands-on art making, unique shopping, and to learn more about our space and plans. If you’re looking for something cool to do on Friday night, come see Adam Brumma and our crew, as well as the many other awesome artists and tours. Adam will be leading Geometry of Scale from 5:00 – 9:00 pm. Fold and color paper to explore pattern and scale, inspired by the geometric patterns large and small in the Islamic galleries. 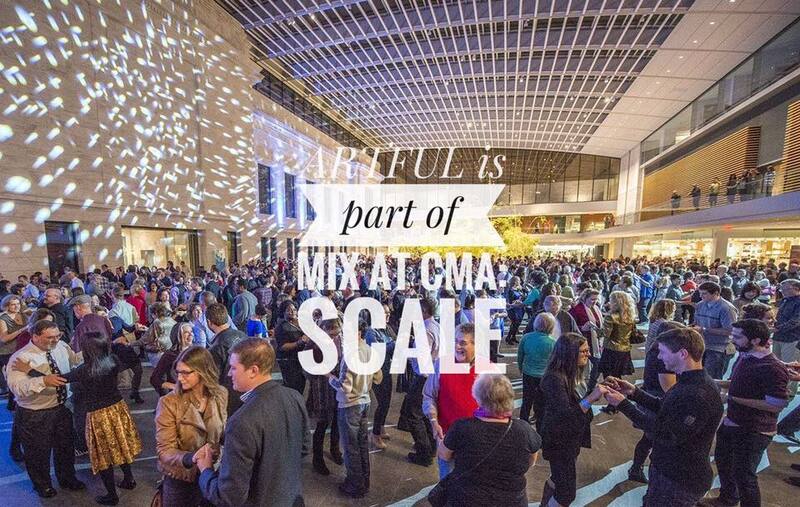 We’re thrilled to be part of this fantastic event at the Cleveland Museum of Art. For more information on all the activities for the evening, please click here. Read the Cleveland Flea’s Feature on ARTFUL. We are SO excited to be part of this month’s Cleveland Flea! We will be there selling our own unique wares and proceeds from the bar benefit ARTFUL and our fundraising campaign. As mentioned above, we are over half way to our first goal, so we’re hoping this will help us get even closer. Gather your shopping buddies and check it out from 9 am – 4 pm at Tyler Village, and support ARTFUL and all of the local artists and vendors that are part of this awesome event. We are thrilled to be hosting our first open house in our new space! This open house is geared to artists who are interested in renting studio space from ARTFUL. This is a great opportunity for you to see the space before we begin building, and to ask us any questions you may have. We will be sharing information regarding leasing studio space, our fundraising efforts and our plans/timeline for the space. If you have not done so already, PLEASE FILL OUT OUR INTERESTED ARTIST FORM, so that we can keep you updated as our plans progress. Light refreshments will be available for your enjoyment. PLEASE RSVP HERE. ARTFUL would like to invite you to our Community Open House. This is a great opportunity for members of the community and local business owners to see our new space before we begin building our studios, and to ask us any questions you may have. We will be sharing information regarding studio space, our fundraising efforts and our plans/timeline for the space. Light refreshments will be available for your enjoyment. PLEASE RSVP HERE. Have you seen all the press we’ve received as of late? We’ve caught the attention of several local publications. Nikke Delamotte’s article about ARTFUL as it appeared in The Cleveland Plain Dealer. 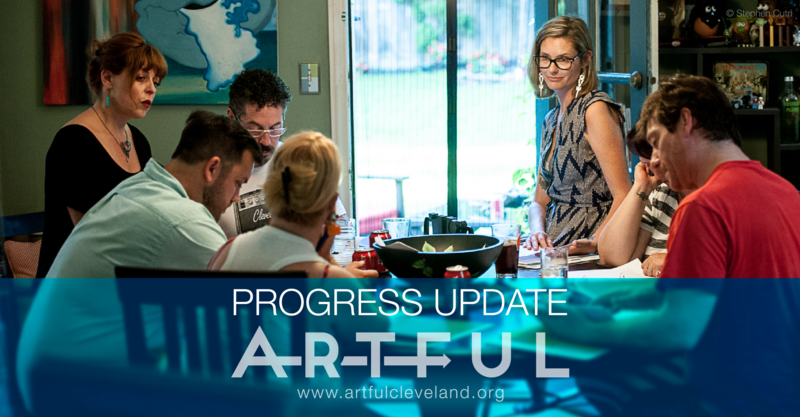 In September an article about ARTFUL written by Nikki DeLamotte was featured on the cleveland.com website, as well as in The Cleveland Plain Dealer. Freshwater article about ARTFUL written by Karin Connelly Rice. And in August, we were featured in an article on Freshwater written by Karin Connelly Rice. Heights Observer article about ARTFUL written by Lois Jeavons. ARTFUL supporter Lois Jeavons wrote a lovely article about ARTFUL that appeared in The Heights Observer. We appreciate the continued support of our entire community. Please be sure to like our page on Facebook to stay appraised of our latest developments. And please consider making a donation today.